We are an experimental quantum optics group run by Kevin Resch, based in the Department of Physics & Astronomy and the Institute for Quantum Computing at the University of Waterloo. Our paper, Spectrally Engineering Photonic Entanglement with a Time Lens, by John Donohue, Morgan Mastrovich, and Kevin Resch was published in Physical Review Letters. The PRL paper can be found here and a preprint is on the arXiv. Abstract: A time lens, which can be used to reshape the spectral and temporal properties of light, requires the ultrafast manipulation of optical signals and presents a significant challenge for single-photon application. 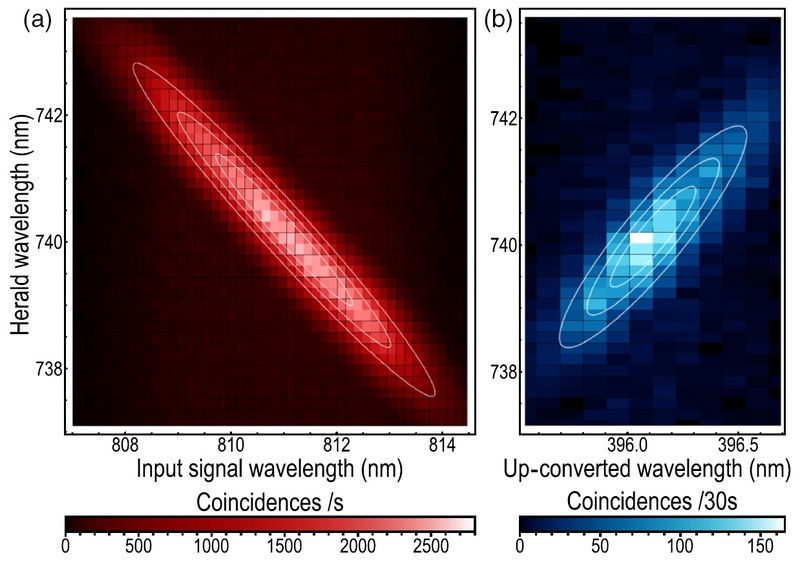 In this work, we construct a time lens based on dispersion and sum-frequency generation to spectrally engineer single photons from an entangled pair. The strong frequency anticorrelations between photons produced from spontaneous parametric down-conversion are converted to positive correlations after the time lens, consistent with a negative-magnification system. The temporal imaging of single photons enables new techniques for time-frequency quantum state engineering.